Rihanna’s turning the temperature up to eleven again in the video for her recently-announced new single ‘Kiss It Better’, wearing nothing but an incredibly sheer sheet, billowing in the breeze, that leaves very little to the imagination. Then there’s the slip dress, which again is skimpy and revealing, as Ri-Ri cavorts on the floor. 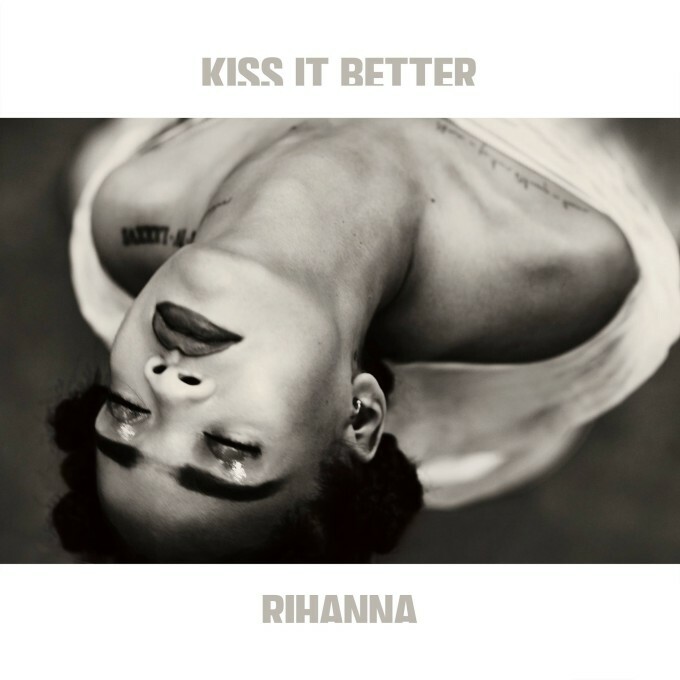 It’s all incredibly suggestive and decidedly sexual… no wonder it’s again been branded ‘Explicit’. It follows on from the two videos she released for her album’s lead single ‘Work’; the second also explicit, due to her barely-there attire. Really, she should have just stripped naked. ‘Cause after these last two videos, it’s not like we’ve got that much more left to the imagination. Previous Post: « IF IT AIN’T THE NEW JASON DERULO SINGLE!